Contractor Weekly is the essential source of information for all contractors and freelancers in the UK. 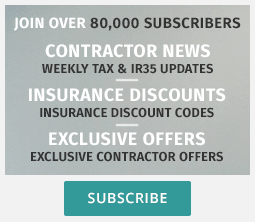 Based on decades of experience in the industry, the Contractor Weekly contributors provide a unique and cutting edge feed of news and opinion. The Contractor Weekly website will be continually updated, but the full weekly editions will be sent by email every Wednesday. To receive the weekly edition please fill in the ‘Newsletter Register’ form on the right. We want to interact with our readers as much as possible, so every article will have a comments section. We want your insight and encourage dialogue, so please feel free to add your views. Contractor Weekly is an interactive paper. We want to give contractors the most relevant and accurate news and information possible. The best source for this may sometimes be contractors themselves. So, we want to receive your article submissions. Please contact us at info@contractorweekly.com or 0116 2690 997 with your proposal for an article. We will either accept or reject the proposition. Articles must be between 250 and 500 words in length. Once your article is complete, we will choose whether to publish it. Non-published articles will not receive payment. We may alter the content of the article. Any changes will be agreed with you before the articles is published. Articles must be your own work and previously unpublished. Articles should be broadly relevant to the world of freelancing and contracting and fit into one of the following categories: Business, Tax & IR35, Tech and ‘Other’. Articles can either be genuine news items, or your opinion on an issue. Contractor Weekly is also an excellent source for downloadable guides, documents and contracts. Please see our Free Resources section.